As someone who has a sweet tooth, I love eating dessert. 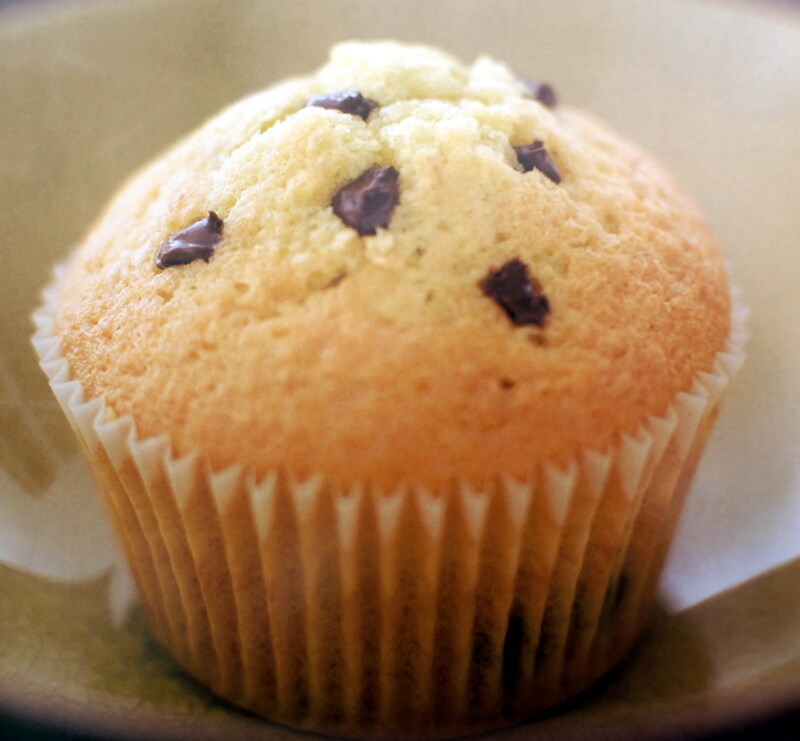 One of my favorite sweets of all time is double chocolate chip muffins. Guess what? 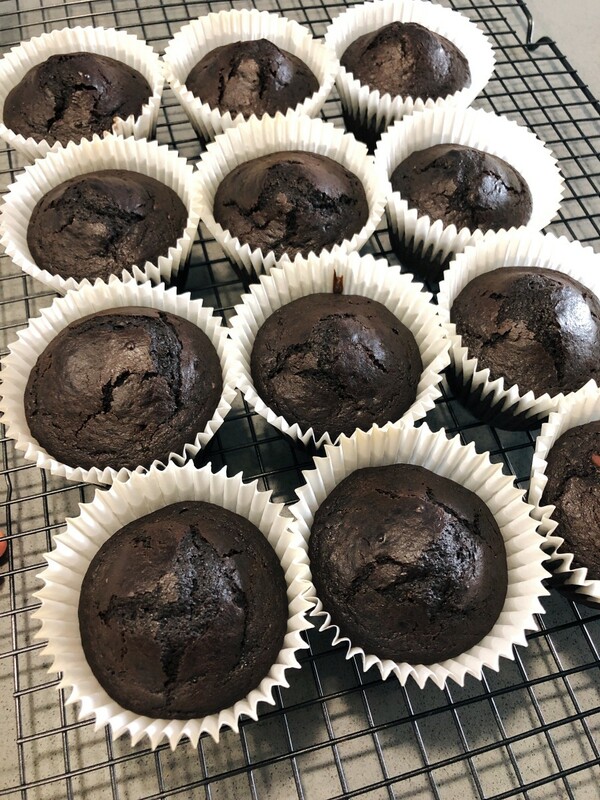 I baked some yesterday, and oh my gosh, these are some of the best muffins I have ever made. 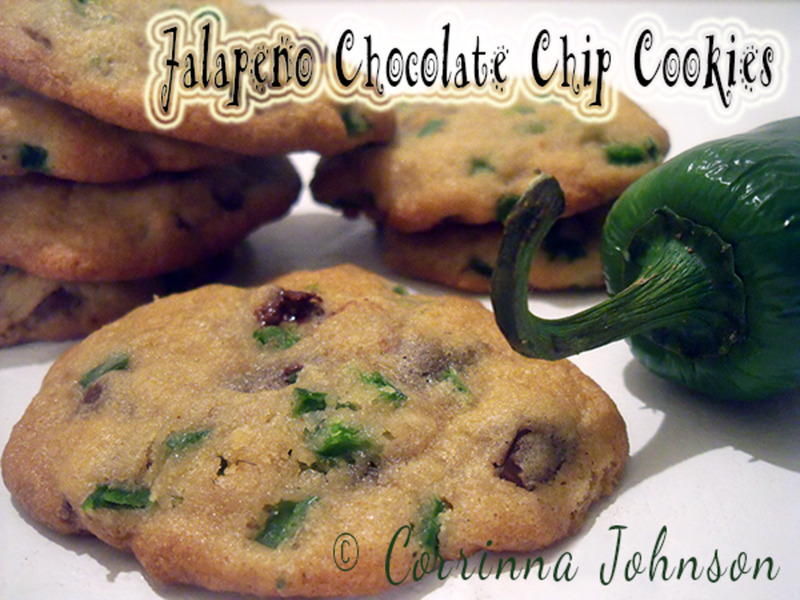 They are rich and chocolaty, and to make them even more amazing they have chocolate chips, too! 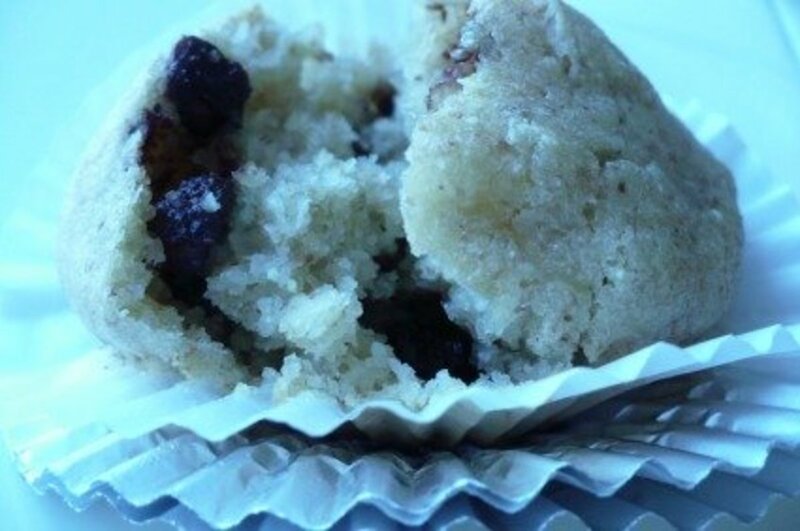 Everybody knows that muffins can be rubbery and dry. I hate that! Instead, I love muffins that are moist and tender on the inside. 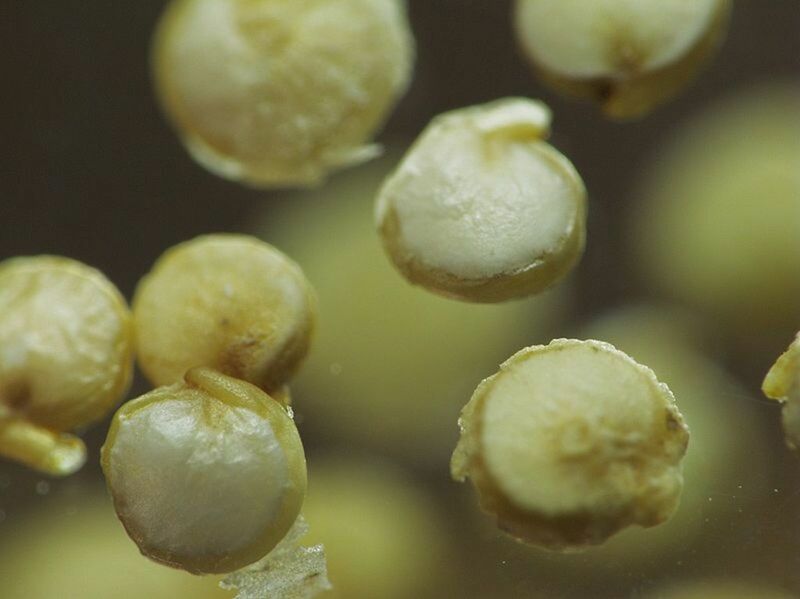 What is the secret for making moist and tender muffins? The secret ingredient in this recipe is the apple cider vinegar. Some bakers might use yogurt or sour cream in order to promote a moist interior, but I decided to try apple cider vinegar this time. 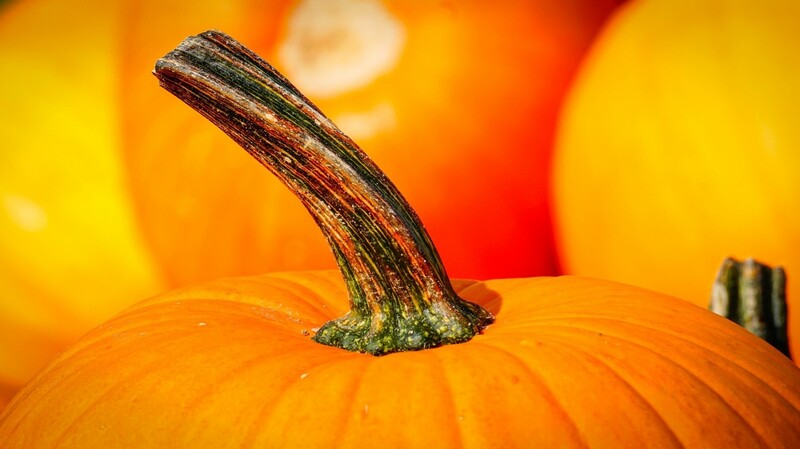 Apple cider vinegar works as the acidic replacement for yogurt. 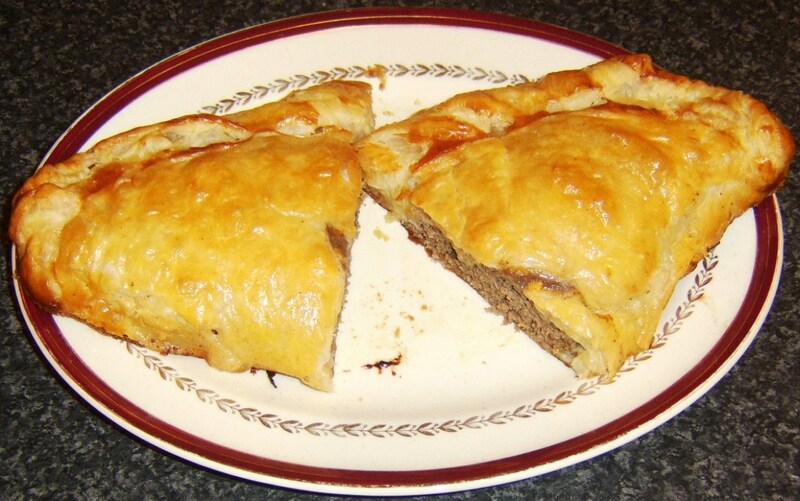 One reason yogurt is used in baking is to add moistness and texture to the batter or dough. Take the example of making naan bread. I use yogurt to make the dough soft and fluffy while it's cooking. Also, yogurt imparts a sour taste to the bread. I found that using the apple cider vinegar as replacement of yogurt or sour cream in this recipe gave a better result. However, you are welcome to try other options. For the 3/4 cup milk I use for this recipe, you can use the same amount of yogurt or sour cream. 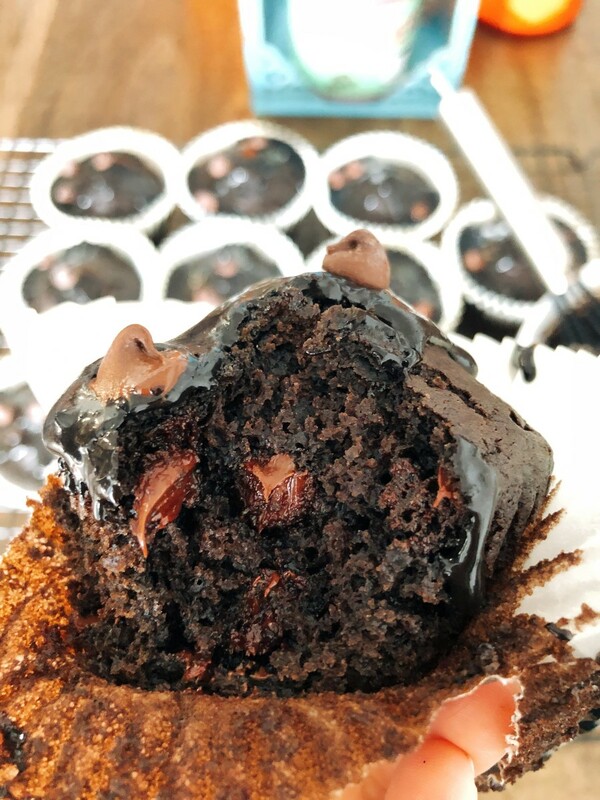 By the way, this recipe called "double chocolate chip muffins," so please be generous when you are adding the chocolate chips! Let's see the full ingredients. 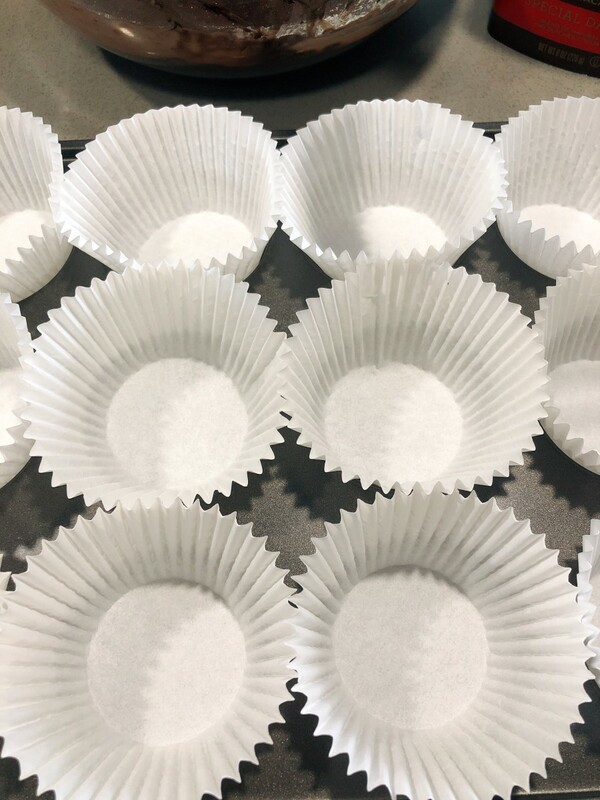 Preheat oven to 350º F. Line a standard-size muffin tin with baking papers. Set aside. Add the apple cider vinegar into the milk. Let it sit for a while undisturbed. 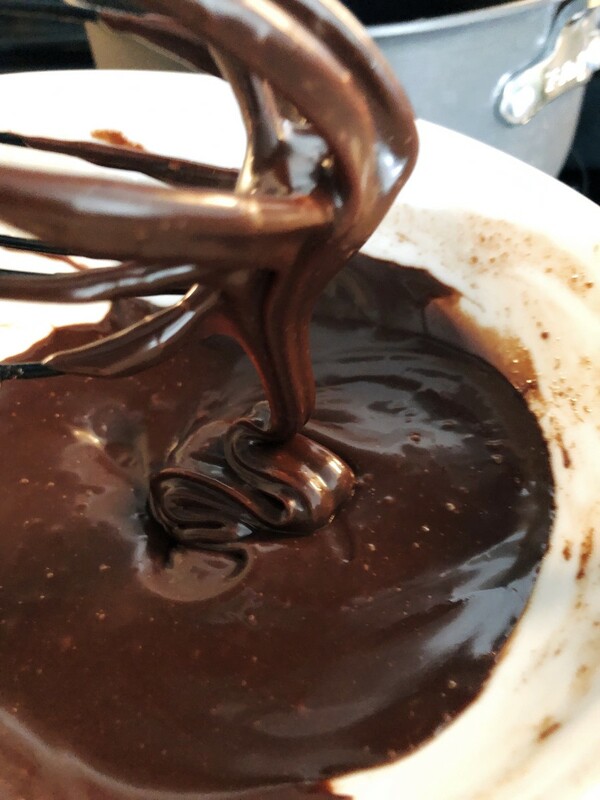 Combine the cocoa powder and the hot water in a small bowl, whisk until a smooth paste is formed. Set aside. In a large mixing bowl, combine the sugar and oil. Beat on high speed for 2 minutes. 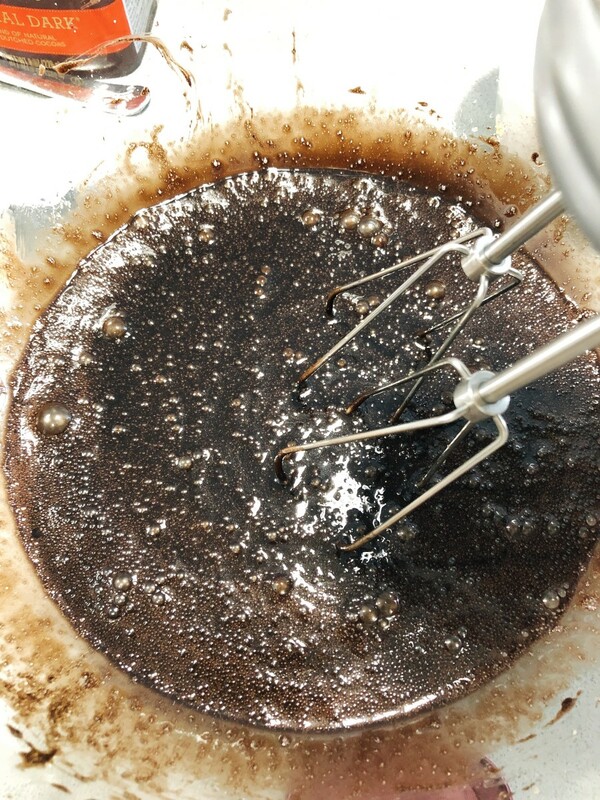 Add the cocoa paste to the sugar and oil mixture and beat for 1 minute. Add the eggs and vanilla extract into the mixture and continue beating for 30 seconds to combine. In the meantime, in a separate bowl, sieve the flour, salt, sugar, baking powder, and baking soda. 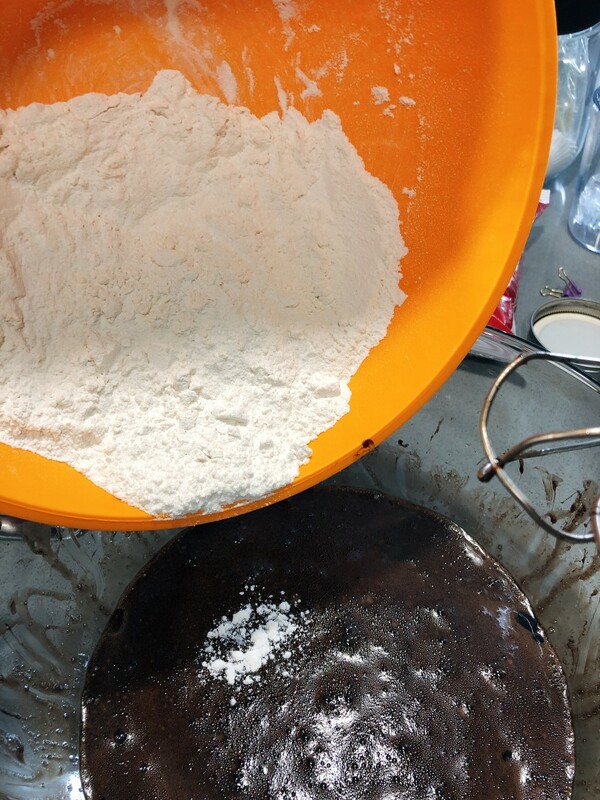 Gradually add the flour mixture and milk into the wet mixture. Use a spatula to incorporate the ingredients. 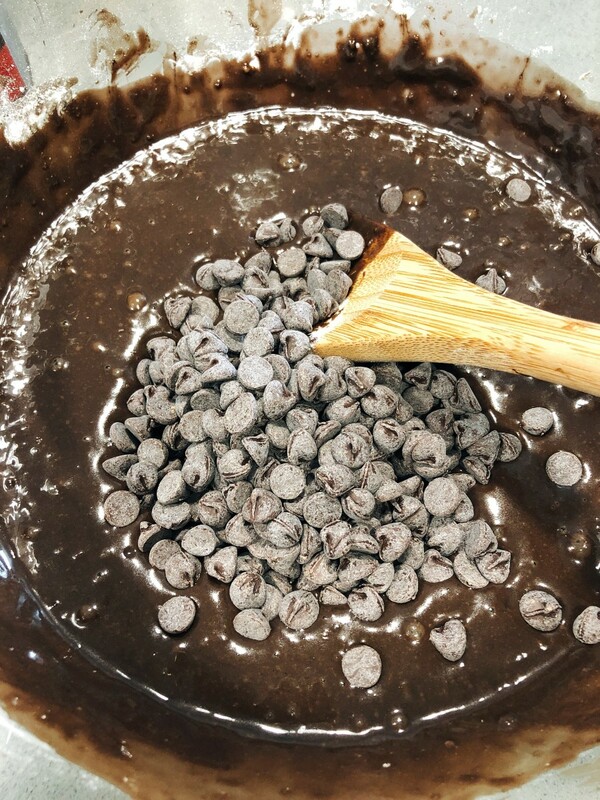 Add the chocolate chips into the mixture. Use a spatula to combine. Bake for 18-20 minutes or until wooden pick inserted in the center comes out clean. Place the muffins on a wire cool rack. 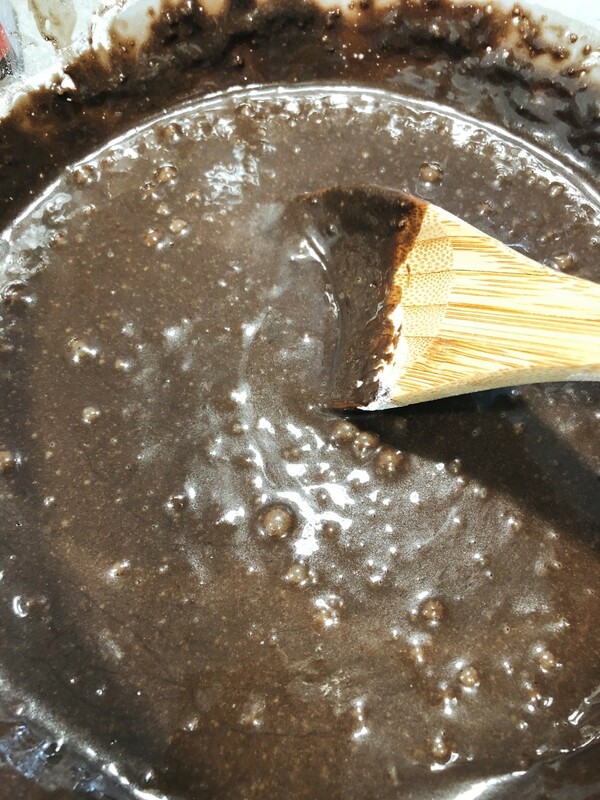 For making the chocolate glaze: Add some water to a medium saucepan or pot and bring to a very gentle simmer. Place a heat-safe bowl on top, but make sure the bottom is not touching the water. Add the cocoa powder, condensed milk, and fresh milk to the bowl and stir with a whisk. Continue to whisk until smooth and melted. Remove the bowl from heat. 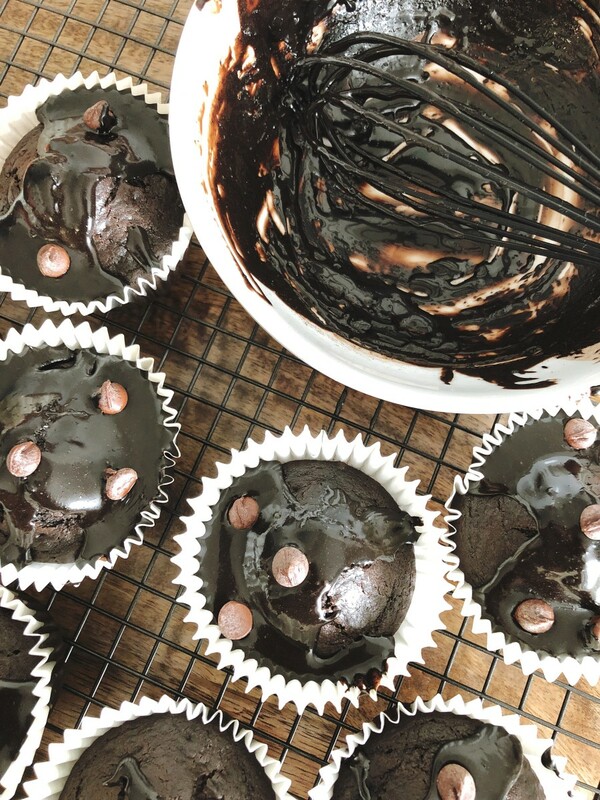 Spoon the chocolate topping on top of muffins. Sprinkle the top with chocolate chips as desired. Line the baking papers in the muffin tin. 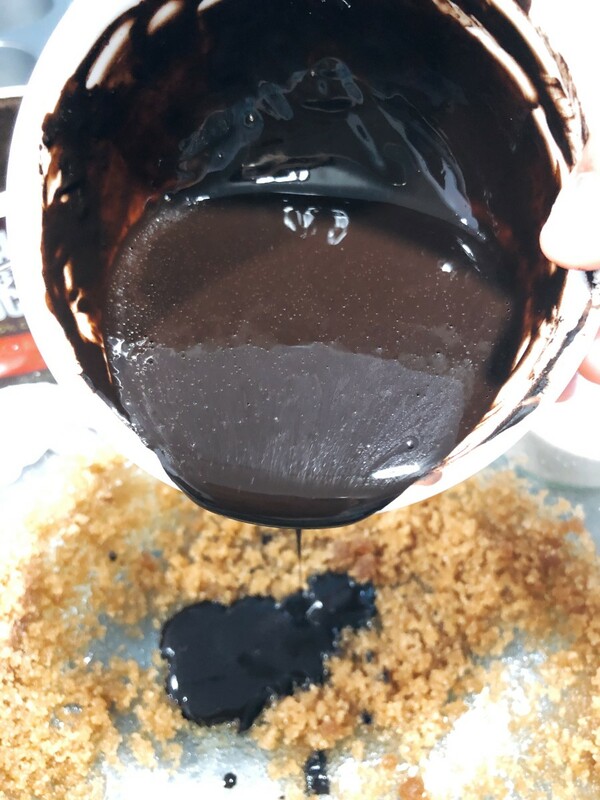 Combine the chocolate paste into the mixing bowl. 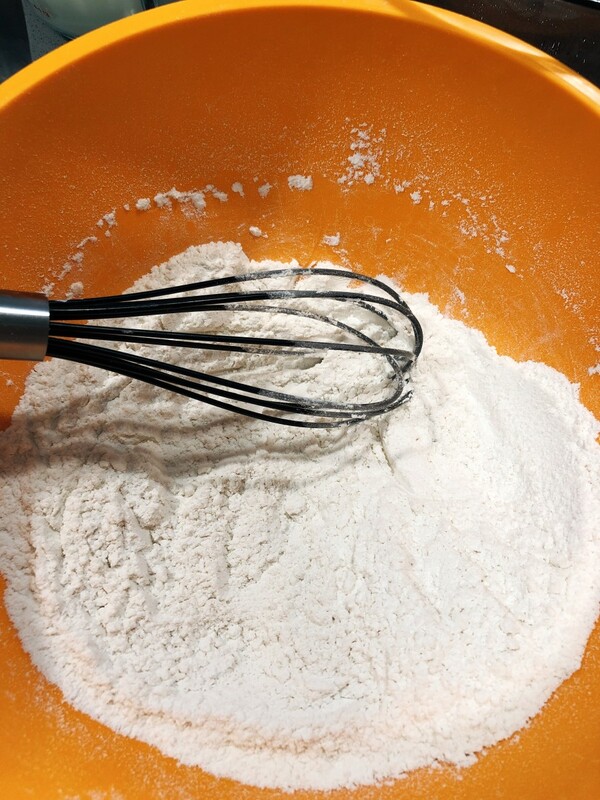 Use a hand mixer or stand mixer to combine the ingredients. 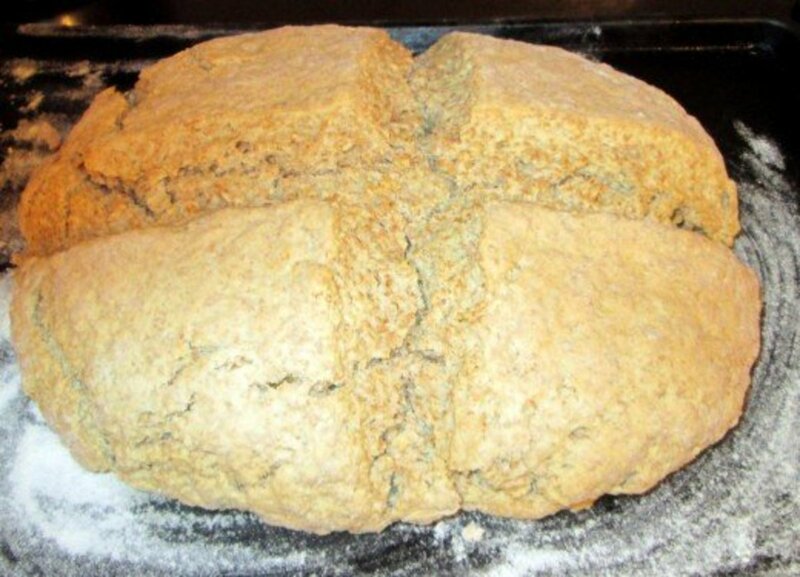 In a separate bowl, sieve the flour, sugar, salt, baking soda, and baking powder. Using a whisk, combine the ingredients. Add the flour mixture into the mixing bowl. Use a spatula to incorporate. Spoon the batter into the baking papers. 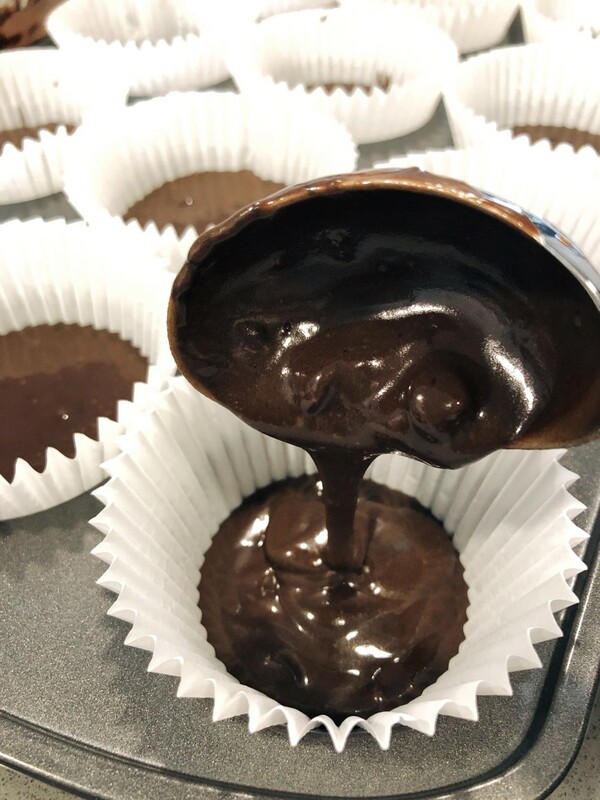 Make the chocolate glaze by using the double boiler technique. 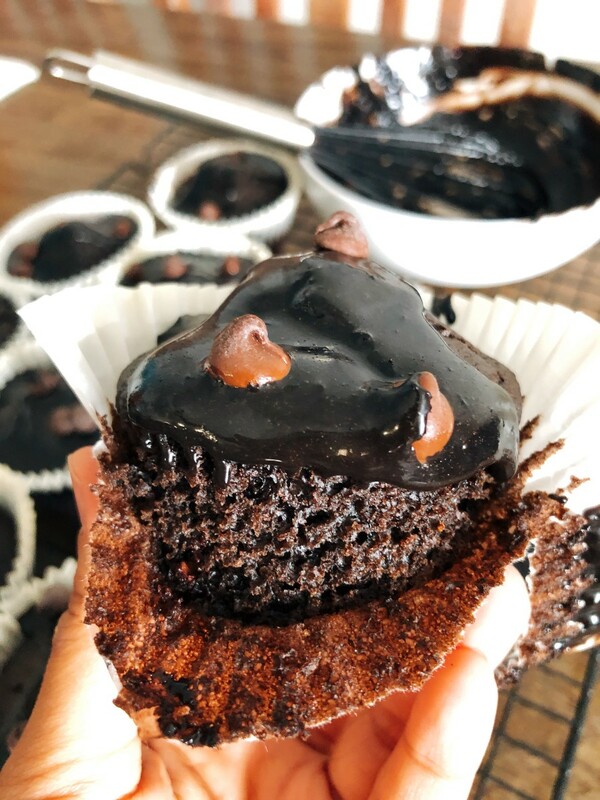 Glaze the muffins with chocolate topping. 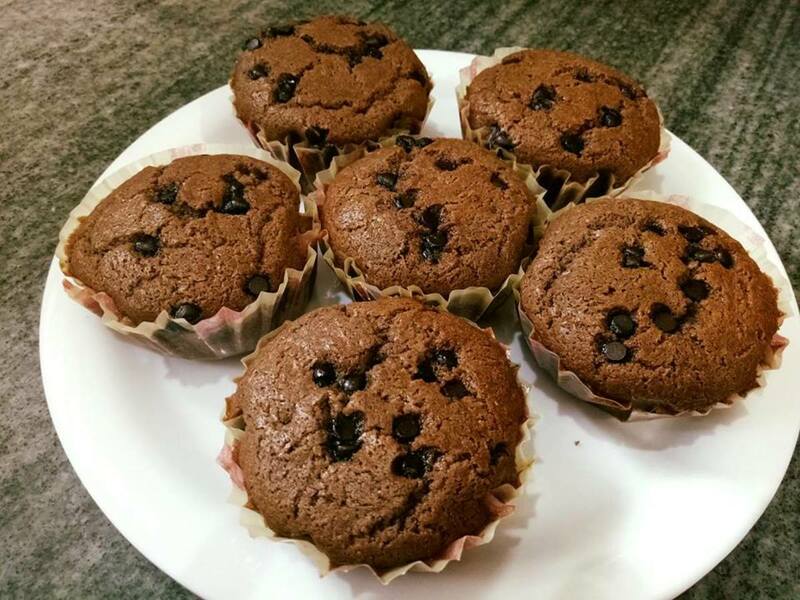 Enjoy the double chocolate chip muffins.